. 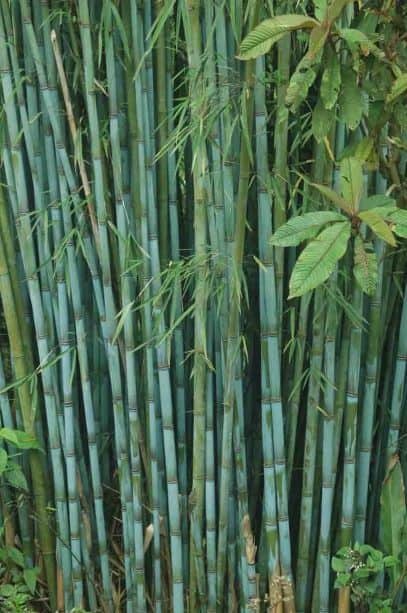 The species we oﬀer is an evergreen, hardy “Blue Bamboo” forming a striking clump of upright canes which, upon emerging, are an attractive glaucous blue later ageing to olive/gold. Best in a damp spot with dappled shade. Height 10-15+ feet.